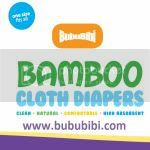 BubuBibi - www.bububibi.com - Bamboo Cloth Diapers: Why does my Cloth Diaper leak? Reasons why and hopefully you can prevent it from leaking. Why does my Cloth Diaper leak? Reasons why and hopefully you can prevent it from leaking. I'm sure you have experienced at least one or more leaks when you were cloth diapering. Does it feel like you have wasted your money and time on cloth diapers? Especially for new cloth diapering mom, don't give up just yet! Check out the reasons why they leak and hopefully you can use them to prevent your diapers from leaking. * Cloth Diapers worn correctly? Are you wearing your cloth diapers correctly? The fitting of your diapers is crucial. You need to ensure that you fasten the snaps or velcro/applix especially around the waist and thigh areas to a correct fit. Some parents think that allowing those areas to be lose fitting is better for the babies but in actual fact, it may cause the diaper to leak. How to figure out the best fit? Diapers have to be well snug. If you still can fit a finger easily near the thigh area, it means that the diaper is still a little loose but make sure that it is not too tight. * Are the diaper inserts/ soakers properly inserted? For pocket diapers, if you want to put the diaper inserts into the pocket, you need to ensure that the inserts are properly inserted. The inserts have to be laid flat inside and not folded somewhere. * Did you use a detergent that you are not supposed to? All of the cloth diaper manufacturers advise cloth diaper mom to NOT use bleach, softeners nor detergents with enzymes. Please make sure you are not using them on your cloth diapers. Some new mom thinks that by using bleach, they can remove the stains from the cloth diapers not realizing that it is actually hurting the cloth diapers. Please make sure that you are not using them. * Are you leaving the cloth diaper on your baby for too many hours? You have to change your baby's diapers every 2-3 hours even for disposable diapers, the same goes with your cloth diapers. Again, like adults, each person is different, some need to go to the restroom more often, some less.... babies are like that too. You know your baby well, so, if he is a heavy wetter, then, change him/her more often. * Does your cloth diaper have detergent build up? What is detergent build up? Basically, after using the cloth diaper for a while, there could be detergent that is trapped in them. You may not notice it but if you start to notice that your diapers are not absorbing as well, most likely that is the case. This will cause your diapers to repel liquid, what it means is that the liquid will stays on the surface instead of being absorbed. * Are you stripping the diapers? For some new cloth diapering mom, you may be asking, what is stripping the diapers? Basically, like we've mentioned above with build up Over time, you may notice that your cloth diapers no longer smell fresh, even right after laundering. This usually means that they have build-up and need a good stripping. Build-up occurs when residue left by detergents, oils or other substances remain in the fibers. Diapers with either super-absorbant hemp or man-made materials like micro fleece tend to gather stink more easily than diapers with all-natural fibers like cotton or bamboo. By stripping the diapers, it will remove any build up on your diaper to get it to function properly again. If you have repelling you will need to strip your diapers. There are a lot of videos on youtube or instructions on how to strip the diapers. You may wonder how often you need strips the diapers? I would say once a month but whenever you feel that your diapers are not absorbing as well, then, do it. * Did you pre-wash the diapers? Most of cloth diaper manufacturers advise to pre-wash the diapers. Most of them advise to pre wash the diapers 3-4 times depending on materials. but some advice even up to 7-8 times especially for bamboo and hemp. * Are you using any creams on your baby’s bottom? Some creams like diaper rashes cream can create a layer and cause the diapers to not absorb that well. If you are using any type of cream, you can use a diaper liner on top of the CDs to avoid the cream touching the diapers. * Is your baby a boy or a girl or how do they sleep? You may be wondering what does the gender of my baby has anything to do with leaking? Well, of course there is! If it’s a boy, try to increase the absorbency on the front of the diaper and for girls, increase the absorbency on the back. Did you notice that even the disposable diaper manufacturers have boys or girls diapers? That’s the reason. Also, if your baby loves to sleep on the back, increase the absorbency on the back and if they like to sleep on their tummy, then, increase the absorbency on the front. 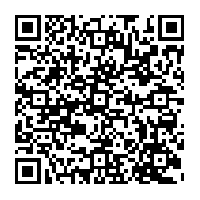 Now that you have read the possibilities why the diapers would like, see if it works. Don’t give up yet!